Best Amish novel I have ever read! 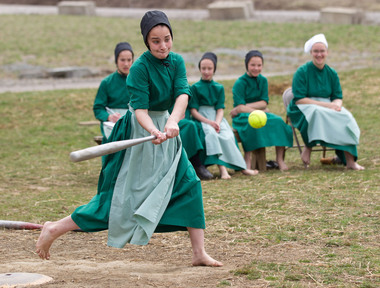 Hands down, Cora Pooler by Dottie Rexford is the best Amish novel I have ever read. It’s got everything: mystery, beautiful writing, great characters, and an enticing plot line. 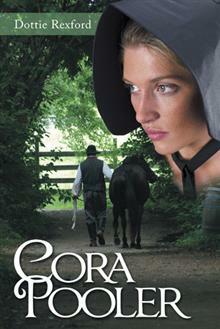 Cora, the title character, left her Amish community twenty years ago due to the birth of an out-of-wedlock baby. (Yes, it happens in those communities too.) Cora gave away the baby, refused to name the father, and was shunned by the community. She went to live as an “Englisher,” the name the Amish have for people living in modern society. When Cora feels the need to reconnect with and reexamine her Amish past in a way that will resonate with any reader older than twenty, there is a subtle yet palpable shift from the vibrant fast-pace of city life to the mysterious romance of nature. Rexford’s descriptive abilities are powerful and bring the reader fully into the sensory elements of a scene. I relished such evocative phrasings as “I heard birdsong, running fox feet crackle the dead ground leaves beneath them [. . .], the drop of a weak branch heavy with ice.” There is a cozy mystery feeling to this story, reminiscent of a Daphne Du Maurier or even an Agatha Christie novel, save with a reflective, religious twist. Surprisingly, Cora has never left faith even though she has left the Amish. When she decides to return, it is to unravel mysteries of her family’s past as well as of the heart and soul. The reader will appreciate the skillful implications of every decision and thought Cora has. Rexford presents us with a microcosm of the timeless battle of faith versus faith. She does it with the patient, delicate strokes of a maestro. The picture left in the mind’s eye is unforgettable. This is a book readers will wish to retain on their bookshelves, for it is filled with gorgeous writing. If one reads only one “Amish” novel in a lifetime, this should be it. There are times when people really and truly should write. Those times are not always completely concerned with writing for money. The motivation for writing may be a little bit about money, but the satisfaction and therapy achieved from writing can be priceless, transcending values imposed by money. I have felt much in tune with these non-financial factors in my capacity as writing teacher as well as that of writing judge. In the first case, I have been allowed into the lives of students through their essays. I have learned what my students are coping with, what they have learned from, and what they are aiming for. 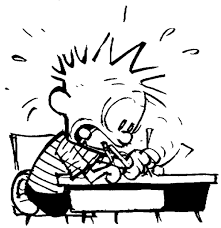 Sometimes the goal a writer describes is something as humble as being happy to go to work. The significance of that goal is without measure–our physical and psychological health is impacted by our happiness or unhappiness in our workplace. I am not sure my students understand how valuable their writing is to me. Everything they write tends to impact and inspire me. This is useful writing, from student to teacher. Though I take advantage of these opportunities to demonstrate where an apostrophe shouldn’t go (as on every single –s) or where a semicolon needs to be replaced by a comma, knowledge for which I am paid, these student essays inspire me in their content and spirit. Nothing is too trivial to make an impact. Recently, a young lady who has followed me from English 252 to English 125 confessed that she put a happy face on her Facebook Wall after a disclosure that she worked with her sister. In reality, she was not as happy as the happy face indicated. She wrote in her essay that she had been hiding a bad attitude about her job. As a young mother of a baby, all she really could think of was whether she had expressed sufficient milk and if she would pass her classes. The last thing she wanted to do was log eight hours a day in an office with her sister (who was kind enough to insist upon employing her). This essay resonated with me deeply because I too have been guilty, at times, of harboring a bad attitude. Sometimes I grow impatient with my job, which is to teach academic writing complete with all the formatting, grammar and punctuation necessary, to college students. Naturally I would rather be J.K Rowling or Stephen King. I would vastly prefer sitting in my ivory tower writing acclaimed masterpieces of fiction. This same young lady explained in her essay that she was able to start changing her attitude. She found that filing or any other mundane duty she had to be nagged to accomplish in the past became something she learned to take pride in, thanks to her change in perspective. Her words pretty much flew up into my face. Like any other human being, I too have struggled with this change in attitude and found that when I win, I am happy. When I feel useful and helpful to students, I feel really good about myself. But there is the icing on the cake that I am focusing on here–my students’ essays are interesting. They help me forget where or who I am, they make me think about someone else’s day, family or life, and I often find parallels with my own life. This has always been one of the pluses of being a writing teacher. I am positive that every other writing teacher will agree. I also work as a writing judge. While many of the books I read are similar to each other, there are often unique entries. Some of these entries are by writers whose lives have been so unexpected, and who are so brave, that again I am seized wholly. Writing does that. It links humanity. It gives us a sense of communion and community. Social gatherings, though useful, are liable to ostentation, discrimination or other weaknesses that may prevent noble human interchange. When we write, we get real, and we touch each other at the center of our beings.